The Garden Cooperative Nursery School follows a non-violent, empathetic approach in interacting with children to create a safe, nurturing and caring environment. 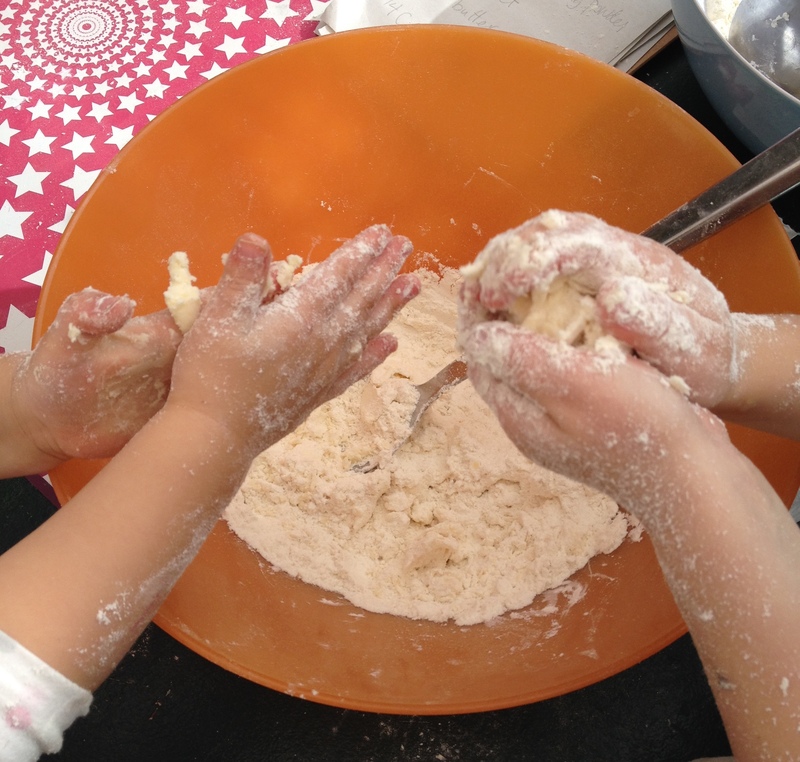 We provide a social interactive curriculum, designed to support young children in language and social development, revolving around a diverse range of developmentally appropriate learning activities. Our primary goal is to promote a child’s self-value and gradual social independence by guiding their own evolving ability to discover inner strengths, solve problems and make decisions. The mission of The Garden is to love, nurture and grow self-confident, empowered, emotionally intelligent, expressive, curious and capable children by cultivating an inspiring outdoor play-based environment with a variety of hands-on experiences and activities and providing rich opportunities for parent involvement and education. 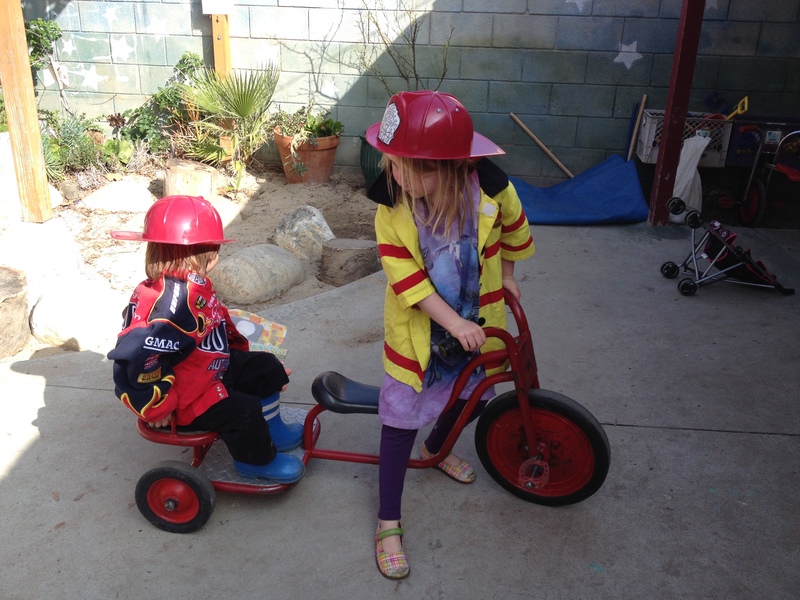 • Observation is central to understanding children and identifying their level of development. • In developing cognitive skills, children progress through stages and build upon their achievements in each previous stage. • Experimentation and confirmation through repetition are central to the learning process. • The process of each child’s development is unique to each child and dependent upon his or her mastery of each developmental step. Lisa Anand joined the Garden Coop Nursery School community as a parent in 2007. While playing and getting to know all the kids on the yard, her passion for working with young children was born. After her younger son graduated, she earned her certificate in Early Childhood Education from UCLA and became a teacher at The Garden in 2012. She was thrilled to be named Director of the school in 2014, and subsequently completed additional administrative coursework to earn her California Child Development Program Director Permit. Prior to working at The Garden, Lisa acquired a BA in French from UCLA and spent a year teaching in France after college. 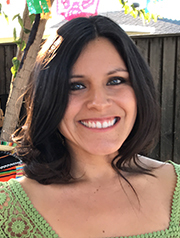 She also spent five years at Lanterman Regional Center as the Toy Loan and Play Program Coordinator facilitating play groups, Music Together classes, and special workshops for parents and their children with developmental disabilities. Lisa believes that the preschool years are some of the most amazing and rewarding, but knows they can also be challenging for parents. She is honored to share this journey with the The Garden School families and offer them support and counsel. Cristina Drake was born and raised in California. She attended UC Santa Cruz where she studied cultural anthropology and art history. After college she spent some time living in Vancouver, New York, and London, working in the film industry. In 2010 Cristina was married and moved back to California with her husband. 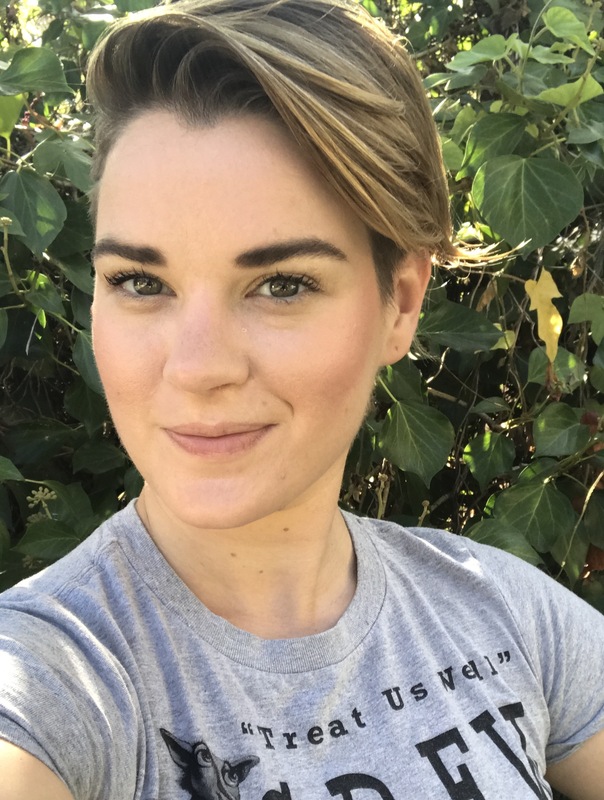 Soon after, she began studying early childhood education at UCLA extension and in 2012 started working at The Garden Cooperative Nursery School. She is deeply committed to the philosophy of nonviolent communication and has embraced The Garden School culture. In 2017 Cristina gave birth to her first child, Sonny. She was able to spend the first few months at home with her son and is excited to be returning to the garden part-time in the fall of 2017. Ozma Bryant has worked with children for the past 15 years, first as a Heath Educator/Performer with Kaiser Permanente working on conflict management with children from 3rd–6th grade. After her daughter was born, Ozma went back to school to become a preschool teacher, and joined The Garden staff in 2008. In 2012, Ozma decided to take a hiatus to care for her child and write children’s books. During that time, she also completed training to become a NeuroFeedback assistant to provide therapy for adults and children. Ozma is returning to her preschool roots in 2017 as a part-time teacher at The Garden. Ozma wants to live in a world where ALL children have access to stories that breathe truth into their hearts and help them feel more accepted for who they are. She firmly believes that we need representation across the board for kids. Check out #WeNeedDiverseBooks! For more information on Ozma click here. Edlín Reconco joined The Garden as a parent in the fall of 2017. After completing her practicum hours at The Garden, she joined the team as a part-time teacher in January of 2017. Edlín has a BA in Cultural Anthropology and an MA in Teaching from the University of California, Irvine. She also holds a Single-Subject Teaching Credential in Spanish and taught Spanish for six years at a local high school in Koreatown. Edlín decided to take a break from teaching after having her daughter five years ago. Watching her daughter grow during those five years sparked her interest in child development and Edlín decided to go back to school to study Early Childhood Education. Edlín is excited to share her love of learning with children. Edlín believes that all children are naturally curious about the world and eager to learn. She believes a child’s early learning experiences and relationships will impact a child’s attitude towards learning later in life. She is thrilled to be in a school like The Garden where children are given the opportunity to form strong loving relationships in a safe place that honors their interests and needs. A group of parents work with our teachers to generate a wide range of experiences and discovery based learning opportunities. We follow an emergent and child-led model to encourage children’s natural curiosity and foster a love of learning. 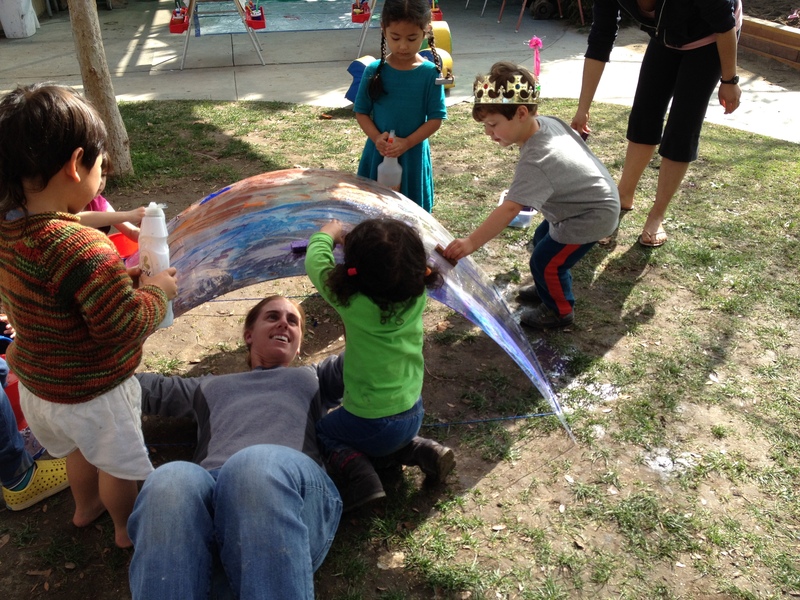 Our program is entirely play-based and child-led. Our yard provides ample opportunity for dramatic play, gross and fine motor activities, creative expression and discovery in a multi-age setting. The art projects are process rather than product oriented so that children may explore different mediums and express themselves freely. 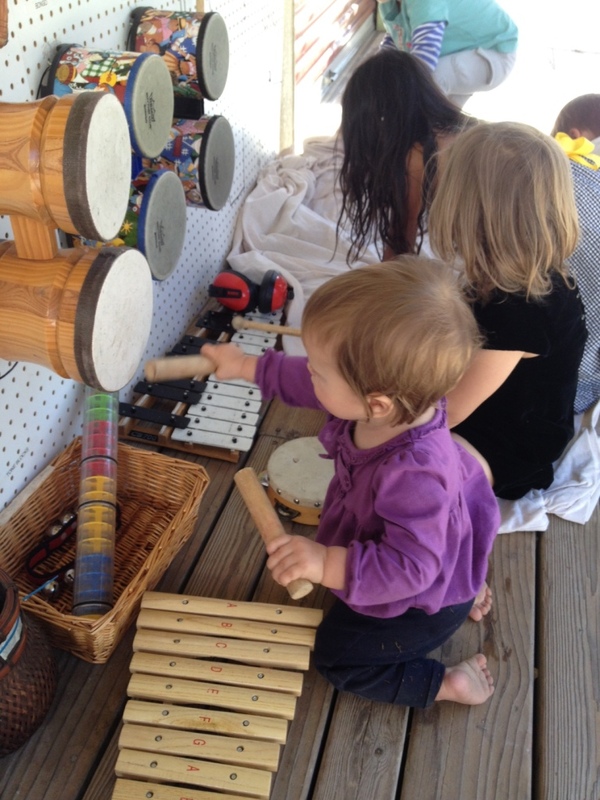 Musical instruments are available throughout the day and a few days a week our Director, Lisa, leads a Music Together enrichment during circle. 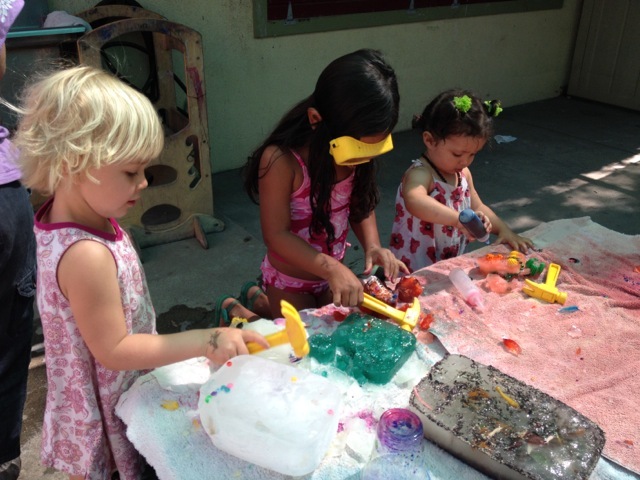 Our program includes a large variety of sensory activities for kids to explore. Applications for Fall 2019 enrollment are due by Friday, January 25, 2019. The Garden Nursery School serves children ages two through five (at least 2 by Sept 1st of the entering school year). Please download the above application for further information about our program. We are currently full for the 2018-2019 school year. 1. Attend a Tour (see dates below). Contact our membership chair to reserve a spot. 2.Complete an application and submit the application fee. Applications accepted no later than Friday, January 25, 2019. 3. Attend a school visit day. Offers of membership will be made in early March 2019. Tuition for siblings will be discounted 10% during the time both children are in attendance. Please contact Terra Cherowitzo, Membership chair, with any questions. School is in session from September through June and usually follows the holiday schedule of the Los Angeles Unified School district. We also run a 4-week summer session in July. School hours are Monday through Friday from 9:00 a.m. to 12:30 p.m. There is an Afternoon Enrichment program from 12:30 p.m. to 2:30 p.m., available for up to twice a week to children over three and a half years of age, if deemed developmentally ready by the Teacher/Director.